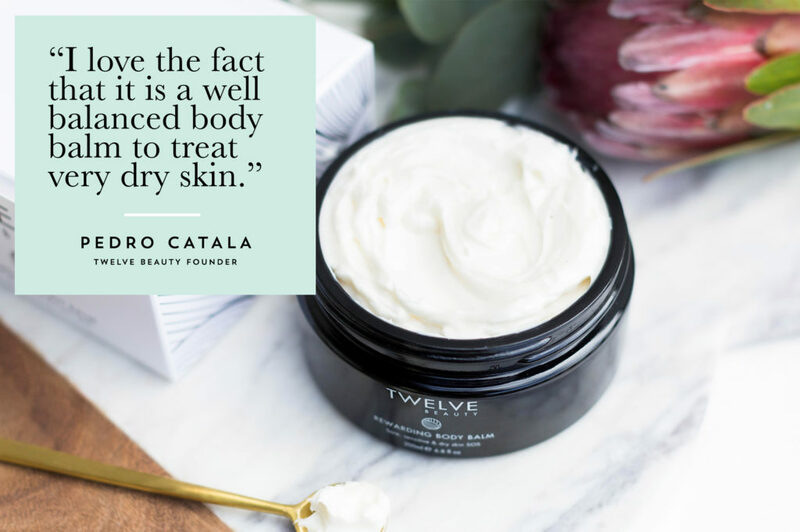 I love the fact that is a well balanced body balm to treat very dry skin. The feedback I keep getting from customers is amazing and it has helped long term patients in hospitals to feel more comfortable in their own skin. Some private clinics in London have continued using this balm with their patients. I wanted to offer something healing but powerfully natural, with this in mind I carefully sourced plant based oils that are identical to the oils we have in our skin. I aimed to mimic the lipidic part of the protective layer of our skin. I am not against most synthetic ingredients, however I believe that a well formulated natural product is way more effective than their synthetic counterpart. It was the first product I ever created, way before I launched TWELVE Beauty. The patients in the hospital where I trialed the Rewarding Body Balm encouraged me to develop more products, especially for the face. They were the ones who suggested the name of the balm too, they said that “it is an extraordinary reward to our stressed skin”. It is a very difficult product to prepare due to the high percentage of oils, this is why I use a blend of two natural emulsifiers. 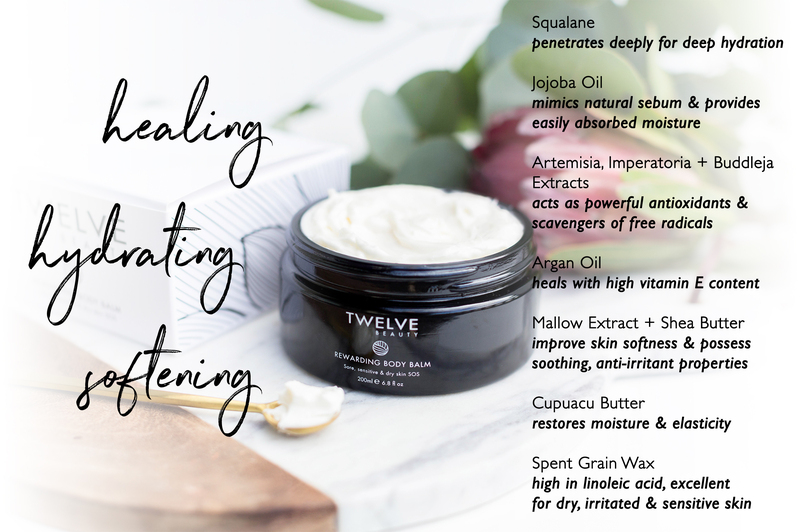 It contains squalane which is the natural answer to paraffin, also jojoba oil which is a liquid wax, and is similar to the waxes present on the skin. I wanted to achieve a rich touch but to be absorbed quickly.